Two years after NBC stunned the industry with huge ratings for its live presentation of “The Sound of Music,” the network was back at it Thursday night with “The Wiz Live,” which drew impressive numbers of its own. The event also set a Nielsen Twitter record as most social live special program in the more than four years of tracking such numbers. Despite facing a highly-rated NFL game on CBS, last night’s live musical, whose all-star cast included Queen Latifah, Mary J. Blige, Ne-Yo, Amber Riley, Uzo Aduba, Stephanie Mills and David Alan Grier, averaged a 3.4 rating/11 share in adults 18-49 and about 11.5 million viewers overall from 8 to 10:45 p.m., according to preliminary Nielsen estimates. The only NBC entertainment series to fare better this fall is “The Voice,” whose season premiere averaged a 3.5/11 in 18-49 and 12.37 million. According to Nielsen, roughly 269,400 people send 1.6 million tweets about “The Wiz Live!” on Thursday night and 6.4 million people saw those tweets a total of 128.9 million times. Last night’s production more than tripled the number of tweets for either “Sound of Music” (449,536) or “Peter Pan” (474,735). Last night during the 8-11 p.m. EST window, global digital marketing technology company Amobee Brand Intelligence said “The Wiz Live!” attracted 1.374 million tweets during its three-hour telecast window — more than four times the number generated last year during the live telecast of “Peter Pan Live” (360,000). Roughly 30% of the sentiment was positive, 58% neutral and 13% negative — meaning the Twitter sentiment was 133% more positive than negative around the broadcast. Shanice Williams, the 19-year-old actress playing Dorothy, scored especially well, with only 2% of the sentiment surrounding her performance considered negative. As expected, “The Wiz Live!” fared especially well in markets with large African-American populations. While the overall household average in Nielsen’s 56 metered markets was 7.9, the top scores came in Richmond (16.1), Norfolk (15.0), Baltimore (14.8), Washington, D.C. (13.2) and Atlanta (13.2). Joining D.C. and Atlanta as top-10 markets soaring above the national average were Philadelphia (10.3), New York (10.2) and Chicago (10.0). Harlem’s Fashion Row has become a New York Fashion Week standard. Founded and conceived by Brandice Henderson-Daniel, Harlem’s Fashion Row, known as HFR, held their 8th annual award and fashion show to lead off NYFW on Sept 10. A sea of people dressed in their most chic attires took over Chelsea Piers. Some women stepped out in high-split bodycon dresses with sweetheart necklines, while others strutted in bright halter top jumpers. But what made this scene different than many other packed New York Fashion Week events was the overflow of mahogany and brown faces congregating to support a group of entrepreneurs and creative minds that are widely overlooked. Over the last 8 years, the event has become a hub where black celebrities and the black fashion elite collide, bringing together entertainers such as Sheryl Lee Ralph, Mary J. Blige and cultural influencers like Emil Wilbekin and Michaela Angela Davis. One of the goals of HFR is to elevate and showcase up-and-coming designers of color. Most new designers struggle with finding the necessary funding to launch a line and what you’ll find here is a community that not only celebrates one another’s drive and goals, but one that also puts their money where their mouth is. Davis noted that it’s harder for African-Americans to stay in the industry because of the amount of capital it takes to keep a line alive. “It’s not the same as writing or being a painter where you can produce without having a staff. In order to have full collections it takes a tremendous amount of work,” said Davis. Harlem’s Fashion Row honored multicultural designers and prolific trendsetters, but most importantly, exhibited emerging fashion talent and provided them a platform to further bridge them to the fashion industry. 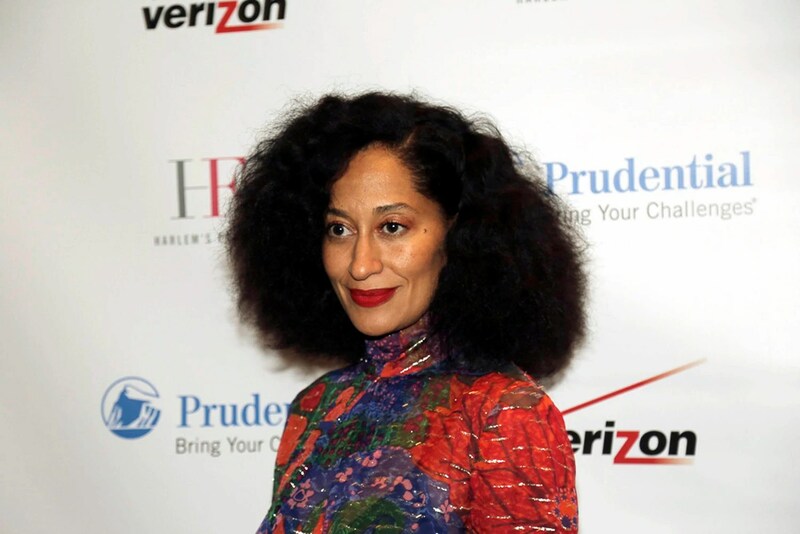 The beautiful, funny and forevermore fashionable Tracee Ellis Ross received the Icon 360 Award. If you’ve followed Ross, especially on the red carpet or on Instagram, you would know that she’s become just as well-known for her bold style as her acting chops. She never shies away from showing off her figure in form fitting, body con dresses and playing with unique patterns and textiles on the red carpet.